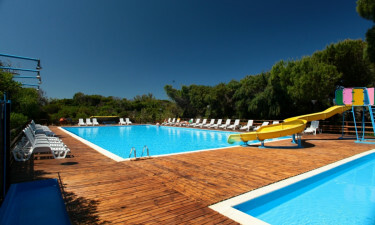 Bella Sardinia is a luxury camping site at the foot of Montiferru mountain, and close to Torre del Pozzo. It is next to Arenas beach, and surrounded by a magnificent pine forest which occupies 33 hectares of land dedicated to fun and enjoyment for singletons and families. To see more exciting information please take a look at Lux-Camp. There is a great choice of accommodation at this fantastic holiday camping site which includes bungalow tents, luxury tents or mobile homes. There is an inviting swimming pool, large tennis court, a children's club, golf, mini golf, volley ball, sailing, surfing, horse riding and trekking opportunities to take advantage of, as well as activities and entertainment organised by the camping holiday staff. Also, the historic town of Oristano is just 20km away, and there are 3 airports within easy access. 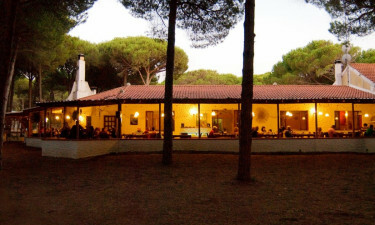 Why should I camp at Bella Sardinia? Oristano is a vibrant local city well worth a visit. It is surrounded by breathtaking beaches, and there are some wonderful cultural and historical places of interest to enjoy, including the ancient ruins and unique architecture. The old part of the city is famed for its winding streets full of inviting artisan shops, restaurants and cafes. A visit to an oasis nearby the holiday camping site is also recommended. Luxury camping means having constant access to want you need, and here you have an on-site restaurant, pizzeria, bar, well-stocked supermarket, and kiosk at your disposal.